A lot of people have been talking about Hershel bags of late- but in my opinion, its all for the wrong reasons. Rather than talking about how the Canadian Company has been consistently making quality products with basic but innovative designs (check the shoe pocket above) - people are talking about their recent collaborations with a big player in the game. With Hershel, it's all bout the attention to detail (pinstripe lining, leather ascents, fleece-lined sunglasses pockets, and so much more. Do your self a favor and check out some history on the Company below - as well as the store and current lookbook. Over a century after that move, Peter and Annie’s great grandchildren remain in the business of manufacturing. Instead of barrels, backpacks and bags are now created. 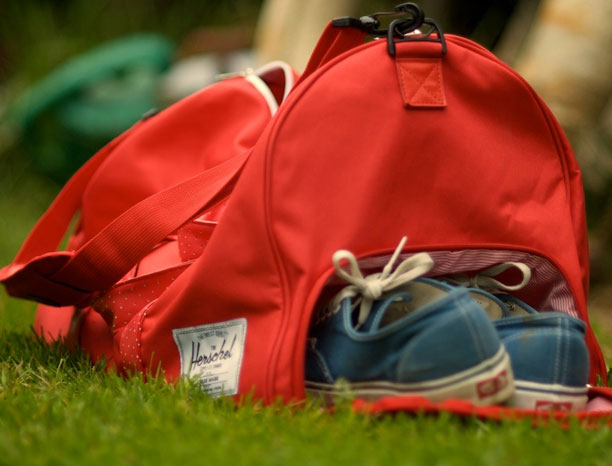 Herschel Supply Co. was started with the goal of bringing well-designed quality built product to market. Inspiration is drawn from vintage mountaineering, American heritage, world travel and fashion. Herschel reinvents these products with modern shapes, fits and feels, with fine regard for detail. Our product endeavors to compliment the consumer's passion for individuality and personal style in a new way. Herschel is about our past, present and future. We are creating an environment that supports the new generation of fashion forward individuals.